Suitable for all, but may be daunting for beginners. Includes line drawings, diagrams and colour plates. Swami Satyananda was born at Almora in 1923. In 1943, he met Swami Sivananda in Rishikesh and adopted the Dashnami sannyasa way of life. In 1955, he left his guru's ashram to live as a wandering mendicant and later founded the International Yoga Fellowship in 1956 and the Bihar School of Yoga in 1964. 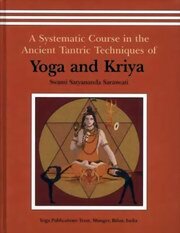 Over the next 20 years Swami Satyananda toured various countries and authored over 80 books. In 1987, he founded Sivananda Math, a charitable institution for aiding rural development, and the Yoga Research Foundation. In 1988, he renounced his mission, adopting kshetra sannyasa, and now lives as a parmahansa sannyasin.